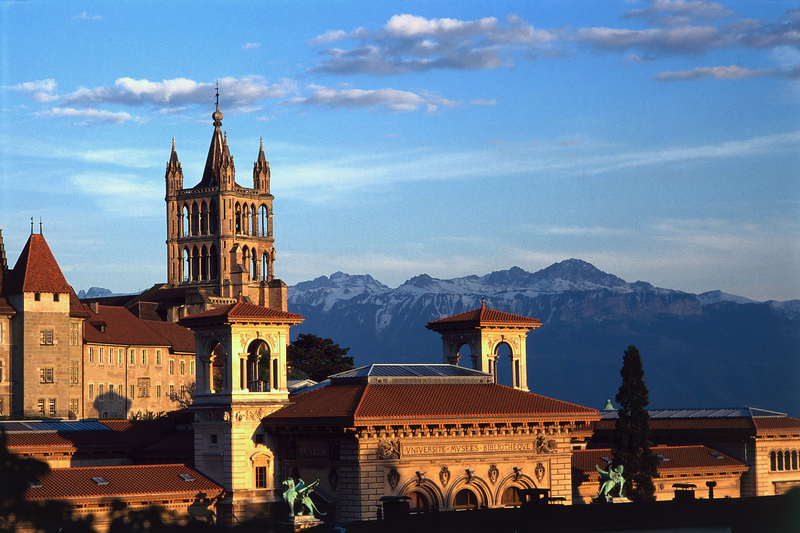 Booking a spa break in Lausanne Switzerland might be the best retreat you could ask for! With its collection of luxurious spa hotels, spectacular views of Lake Geneva and the snow-capped Alps beyond and proximity to Geneva Airport, it’s hard to find a better spa break location. The Riviera stretch of Lake Geneva is one of my favourite parts of Switzerland. The lakeside towns of Lausanne, Vevey and Montreux are chocolate-box pretty and views are just breathtaking (a very over-used word I know, but it is justified in this case). There’s something about being surrounded by mountains that makes me instantly relax. Even the train journey is ridiculously pleasant, running alongside the tranquil lake and past the stunning UNESCO world heritage site vineyards of Lavaux. The most recent time I visited, the five-star Lausanne Palace was my port of call in my quest for rest and relaxation. After checking in, I couldn’t wait to get myself down to the spacious concept spa. Its philosophy is rooted in Ayurveda and promises to ease the stresses of urban life – rebalancing the senses and the four Ayurvedic elements. Given the hotel’s five-star status, I knew I was in for a treat, but what really impressed me was the attention to detail and unique touches amongst all the glossy, high-spec facilities. The spa’s founder and manager, Brazilian-born Emeline Gauer, chose many of the items herself from around the world, including a beautiful hand-carved wooden door, eye-catching furniture and beautiful Balinese decorative touches. 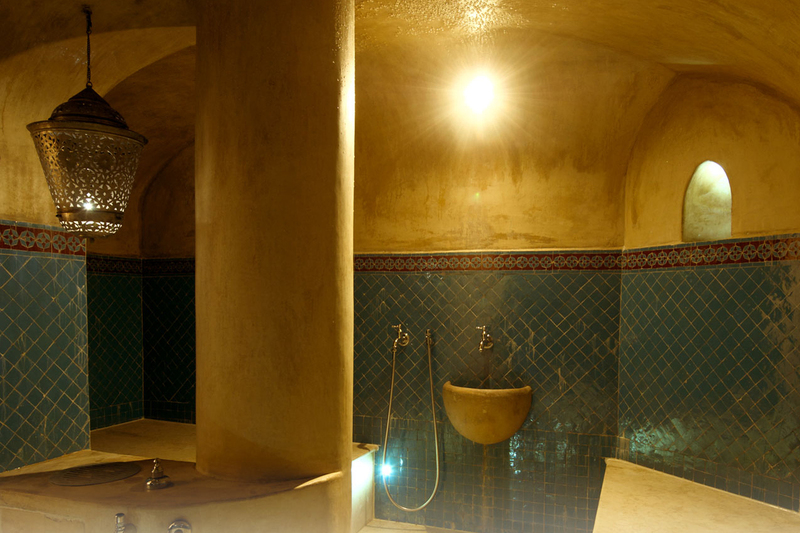 I spent my time hopping from pool to lounger to relaxation room and my favourite space was the intimate Hammam – a private area (split into men and women), dimly-lit with pretty lanterns. You could easily jump between the hydrotherapy pool, Finnish sauna and laconium and it was very relaxing. I also loved the cosy Duvet room which took chilling out to a new level. Housed behind an ornate wooden carved door, I found a white room of cream muslins, sleepy purple light and indulgently-comfortable beds with marshmallow-like duvets. But, with the view of the sparkling lake and the snow-capped Alps from the terrace (pictured above), I saved my post-spa snooze for there and dropped off in the sun. 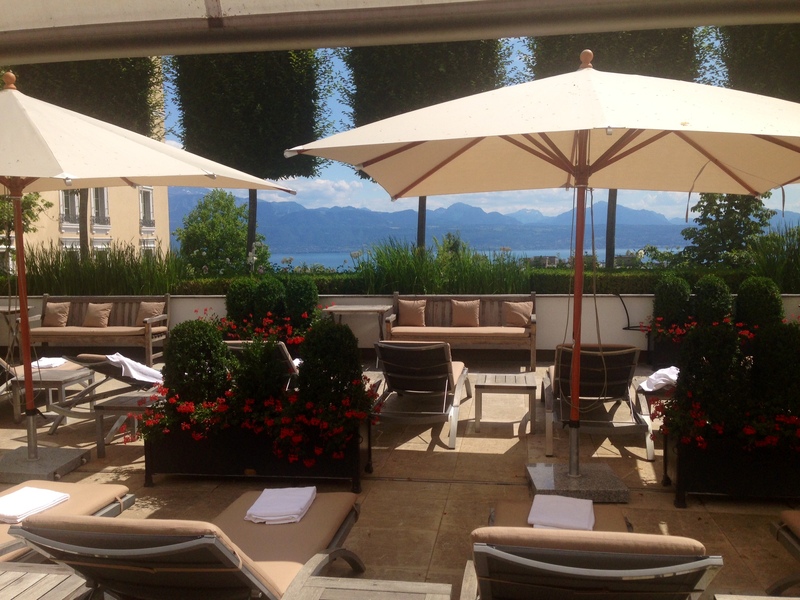 *I stayed in Lausanne Palace and Spa courtesy of Lake Geneva Tourism. Visit here for more information. *Insert heart-eyed emoji* Looks so lush Sarah!